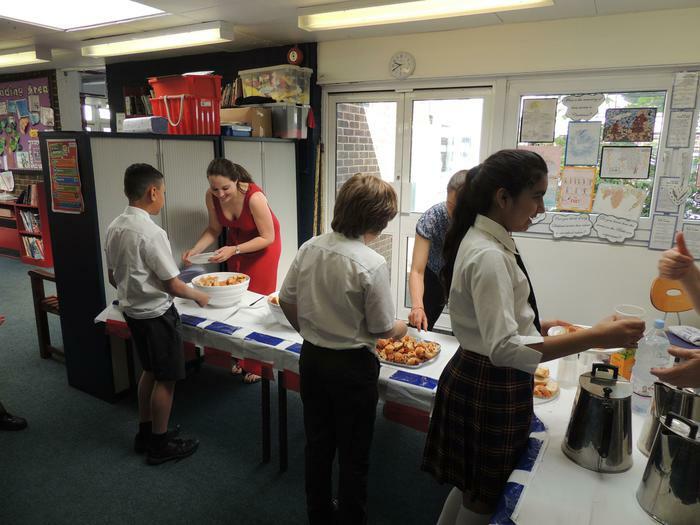 French cafe-style music was drifting out of open windows and doors in Year 6 today as in preparation for their French residential trip next week, Y6 have been trying out their French during their French Breakfast! 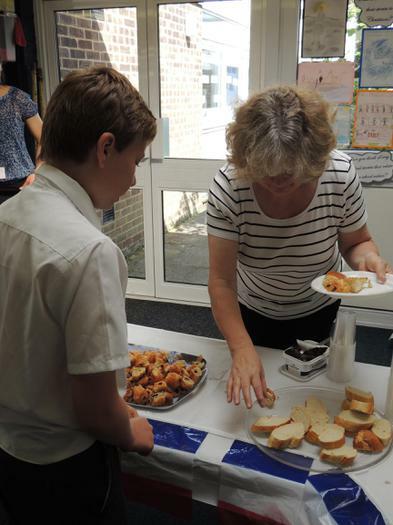 Mrs Downie, French specialist organises the event every year, which always proves very popular with the children (and staff!). 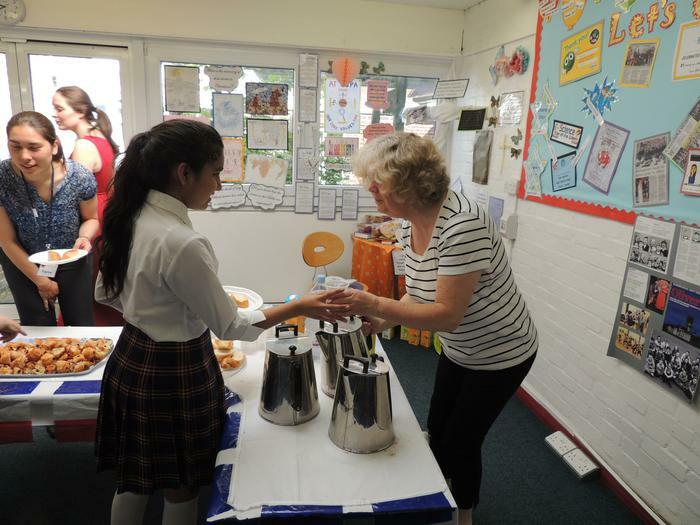 With a variety of French bread, croissants, jams, brioche together with hot chocolate and juices, the children certainly had plenty to choose from. Remembering how to ask for their choices ensuring that they included 'please' and thank you' was the order of the morning so that next week they can use their French confidently at the residential centre, in the market and shops. Mrs Underwood, Headteacher who will be leading the trip to France, was delighted to see the children practising and clearly excited about their trip. "We are really looking forward to the trip this year, especially with all of the 70th year anniversary celebrations which have been on television. 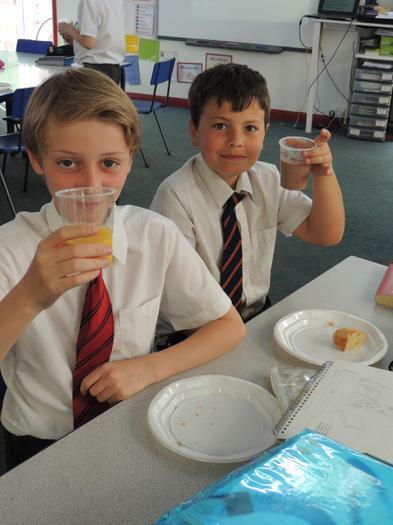 Our Year 6 our fantastic children and they will have a great time I'm sure."